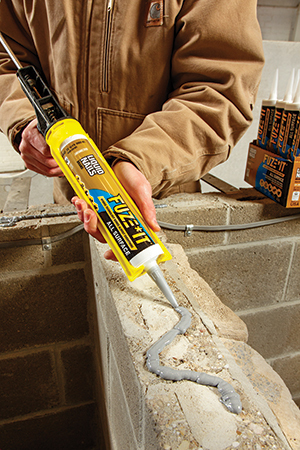 PPG’s Liquid Nails brand has launched a new all-surface construction adhesive, Fuze*It, billed to ease challenges associated with using different adhesives with different materials on the job site. The adhesive can be used to bind a variety of surfaces, according to PPG. The adhesive is formulated with a proprietary hybrid-polymer blend that is plasticizer-free, intended to prevent it drying and brittleness over time, PPG states in a press release. In addition, the release states that the adhesive is a low-VOC (volatile organic compound) formulation and is GREENGUARD certified, which could help contractors attain points under current green building programs. Fuze*It is available exclusively through The Home Depot. Liquid Nails is a brand of PPG’s architectural coatings business. The product line includes a broad range of adhesives, caulks, sealants and home-repair products with project-specific formulas. Headquartered in Pittsburgh, PPG operates in more than 70 countries around the world.